With Berlin becoming the 3rd most visited city on Europe in 2010 our shore excursion has since become one of our most popular tours. 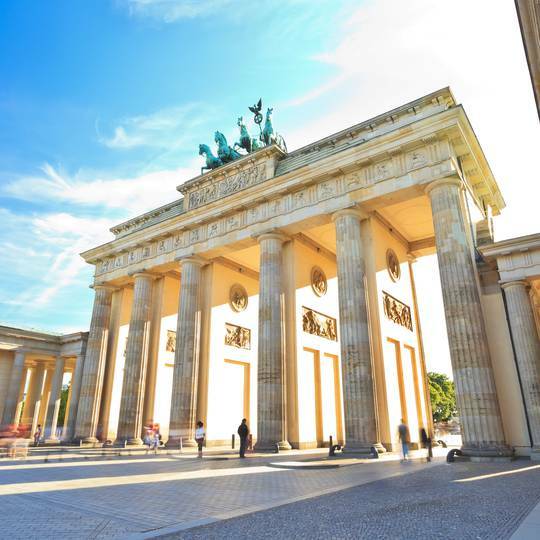 Even if you only have 12 hours in Germany this tour is packed with all the most fascinating and relevant bits of history so that you won’t miss a thing. On our private tours we are more than happy to arrange museum visits, lunch reservations or any other wishes you may have. Our guides are all experienced, amicable and knowledgeable Germanophiles, who have been living here for years, many with at least master degrees on different aspects of German history. Our tours begin at the port where you will be met by our assistants who will guide you onto our modern fleet of coaches. After a relaxing journey through the serene countryside of the former East Germany you will be met in Berlin by our guide. After a brief introduction you will have 5 to 6 hours of touring through the capital including a one hour break for lunch. At the end of the day the coach will whisk you back to your ship and you will be off to your next port of call!